From a patient’s point of view, this is a procedure of last resort. Each heartbeat normally starts in the right atrium where a specialized group of cells called the sinus node generates an electrical signal that travels down a single electrical road (the Atrioventricular [AV] Node) that connects the atria to the ventricles below. By ablating or eliminating this AV Node, your Atrial Fibrillation signals can’t get to the ventricles which does stop your heart from racing. But for your heart to beat at all or at the proper rate, you must have a permanent pacemaker implanted in your heart for the rest of your life. Your heart rhythm will be regular and will no longer race rapidly but will be controlled by the pacemaker. You may no longer require many of your medications to control your heart rhythm. After an AV Node Ablation with Pacemaker procedure, patients report feeling better with an improved quality of life (being able to golf 18 holes, for example) than when A-Fib made their heart race. Note: If you suffer from Sick Sinus Syndrome (a bad Sinus Node) and would need a pacemaker anyway, an AV Node ablation procedure may be appropriate. 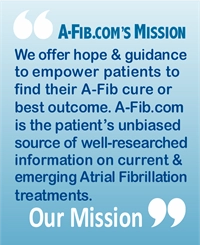 The procedure does not cure your A-Fib. It only treats the symptoms. This procedure will control the heart rhythm but the multiple short circuits in the atria will still be present. You will simply no longer be aware of them. An AV Node ablation is irreversible. What’s worse, you still have A-Fib and have to forever take anticoagulants. 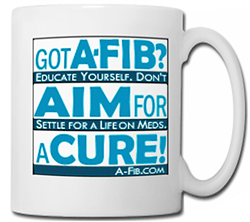 Because you still have A-Fib: you continue to be at increased risk of stroke, and have to forever take anticoagulants. 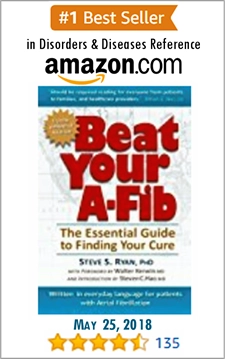 Over time, A-Fib may decrease mental abilities and lead to dementia. 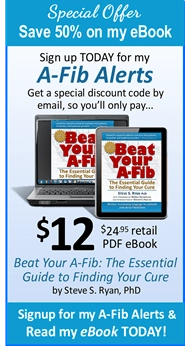 Also, after an AV Node Ablation, patients with Paroxysmal (occasional) A-Fib often develop Persistent A-Fib. An AV Node ablation is irreversible. You will be dependent on the pacemaker for the rest of your life. 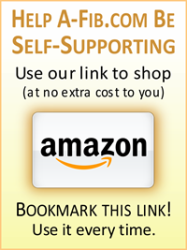 With 3-4 Second Pauses, Do I Need a Pacemaker? 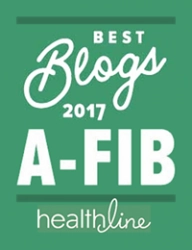 FAQs Understanding A-Fib: With A-Fib Pauses—Do I Need a Pacemaker?